Majorly built by the Mughals on the banks of Yamuna, Agra is one of the best places to visit around Delhi. 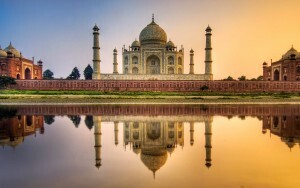 Famous for the Taj Mahal, the city offers much more. Once you have visited the Taj and the Agra Fort, it’s time to ignite some fuel and explore the city. And it’s a guarantee that you won’t get bored. This city is packed with surprises on every corner. And while you’re in this historic place don’t forget to get yourself a few kilos of Pethas. You would regret not eating it. You can also rush to the Bharatpur Bird Sanctuary to enjoy the beauty that nature is. It will be a great way to take your mind off the traffic in the cities. The shared capital of Haryana and Punjab is one of the best cities for a reason. It’s uniquely built and is exceptionally fabulous. What’s more? The Grand Trunk Road gives you the sheer joy of smooth ride with dhabas in the highway village of Murthal serving your mouth greatly. Chandigarh is also the base for many hill stations like Shimla and Kasauli which are not very far from it and where you can easily go if you have plenty of time. And a visit to the famous Rock Garden goes without saying. 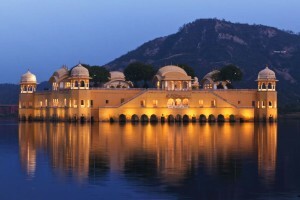 Jaipur can be well termed as a city with a blend of history and modernity. The huge flyovers and the gigantic forts and palaces are a delight to the eyes and the heart. Biking is the best way to travel around this city. The food here is delightful especially the various types of Kachauris and the favourite fast food of the locals, the Mirchi Bada. And if you get bored with sightseeing you can head to Sariska to catch glimpses of some tigers in the Sariska Tiger Reserve which is less than 3 hours away from the capital. 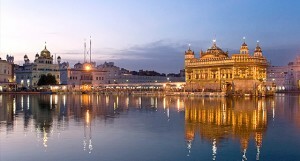 The Punjabi City of Amritsar is well known for the iconic Golden Temple but it’s not the city’s only attraction. The ride from Delhi to Amritsar is a bonus point of this trip in itself. And places like Jallianwala Bagh and Wagha Border also get to the list of the major highlights of the city. It is the one place which fills you with patriotism and feeling of pride. 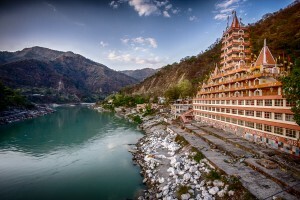 Also known as the World Capital of Yoga, Rishikesh came into the limelight after the Beatles rocked the place up a little in the 60’s. It’s the perfect destination for the traveller and biker in you and will undoubtedly connect you to your spiritual side. 30 kms away from Rishikesh is the little village of Byasi which hasn’t very much to offer but it has the peace which can tempt anyone to leave the city and settle there. Apart from Byasi, Triveni Ghat, Rishikund and the Neelkanth Mahadev Temple are a must visit. And who can forget the glorious Ram Jhula and Lakshman Jhula. along with various adventure sports like rafting and bungee jumping to keep you hooked. So all you bikers out there, Ladakh is not some place to head right away. 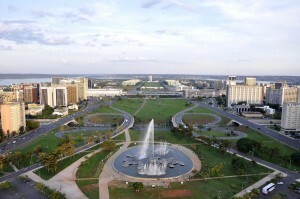 The list is much longer and exciting but these cities are the best to start with. Now, put on your leather jacket and kick-start your bike to rush to all these places, NOW!!! Previous post5 hill stations not to leave, while travelling in Uttarakhand!